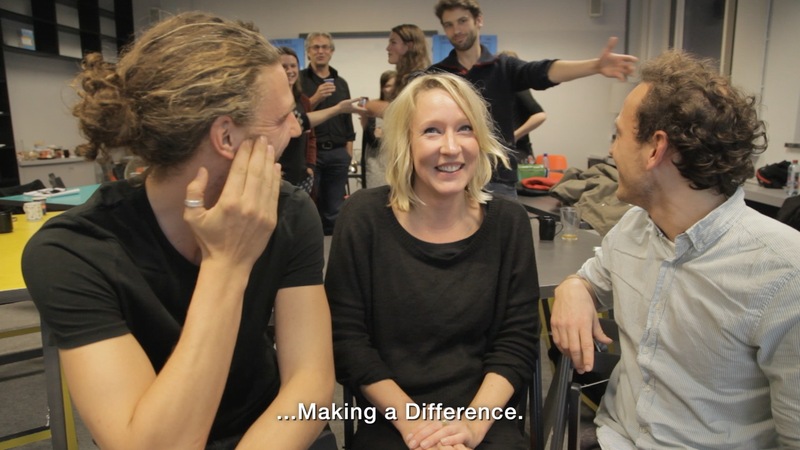 In the documentary “Making a Difference” we follow friends Reinier Vriend and Kuba Szutkowski in their mission to have ‘doing good’ done better. They will fight for transparency in the elusive world of international volunteering. It is about time that the volunteer industry is probed. Because yes, international volunteering has gotten industry proportions. Not everything that volunteers are asked to do in far away places is aimed at the help of others and the interests of involved companies are often dubious. Together with Brechtje Boeke they form their own non-profit to improve transparency in voluntourism: Volunteer Correct. We follow the friends during the founding of their volunteer organization and when they set out with a group of volunteers to document the volunteer industry in Cape Town, South Africa. The ambition is to create a self-sufficient control mechanism. By and for volunteers. With the statutory goals of “promoting transparency and accountability in international volunteering”, the organization starts preparing “Project Cape Town”, a 17 day project for which 12 paying volunteers are selected. The project will take place in February 2015 in Cape Town. And while the volunteers film the volunteer industry, we film the process. So through a group of young (at mind) idealistic Western volunteers, a group of South African peers, two curious filmmakers and a journalistic project, themes like guilt, need, help, exploitation, global imbalance come to light. “Making a Difference” will offer personal insights, show rifts in understanding between people, and is expected to confront both volunteers and the organisers with presumptions and assumptions they carried into the project. To visit the crowdfunding campagne for our film “Making a Difference” click on the photo below.